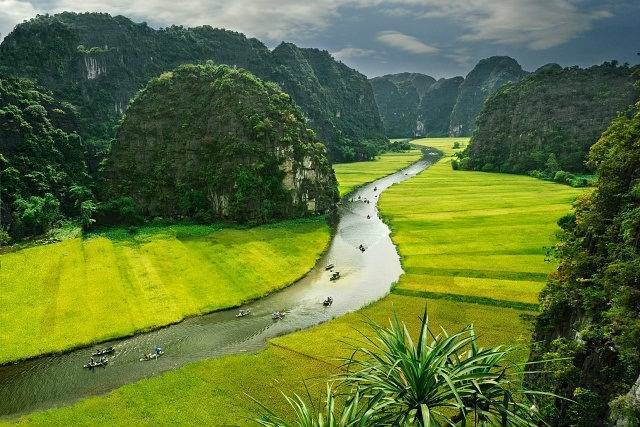 Why not make your trip down Vietnam memorable? 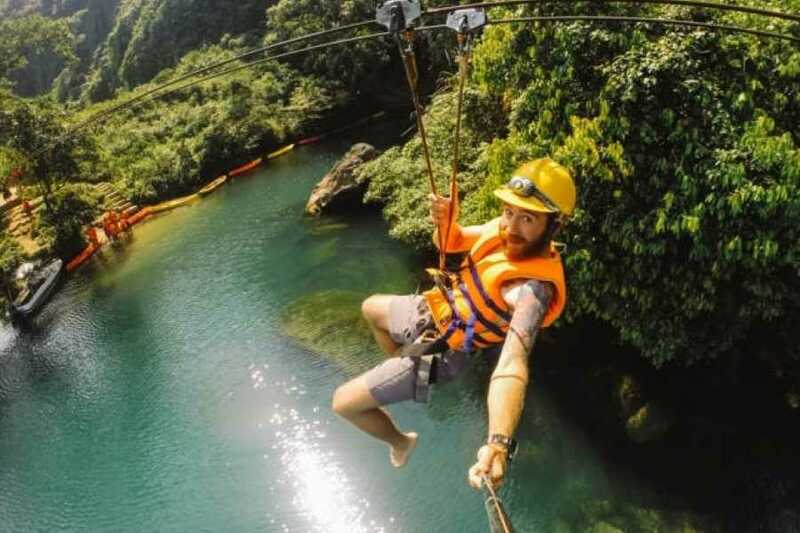 Get the most out of your time and experience the best of Vietnam as you kayak, cycle, zip line, paddle and motorbike your way down half the country to Hoi An. 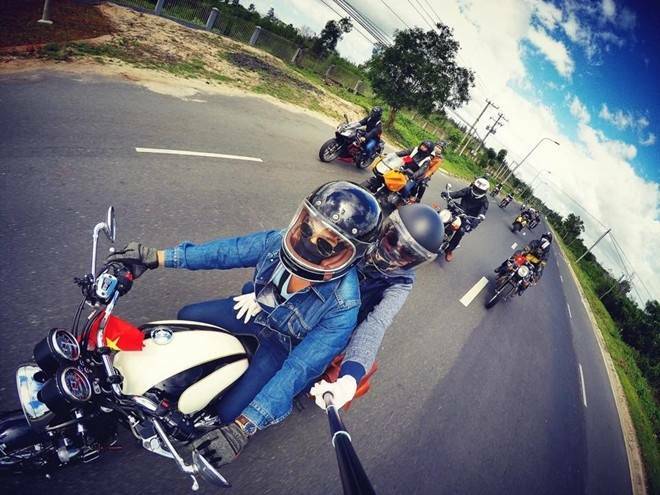 Explore caves, visit ancient temples and motorbike the legendary Hai Van Pass. 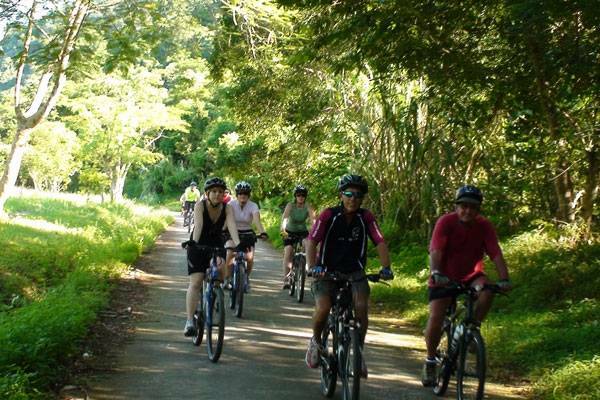 Our Southern Journey is organized by Ocean Tours so you can't find this trip anywhere else. We work with you to create your own custom adventure. 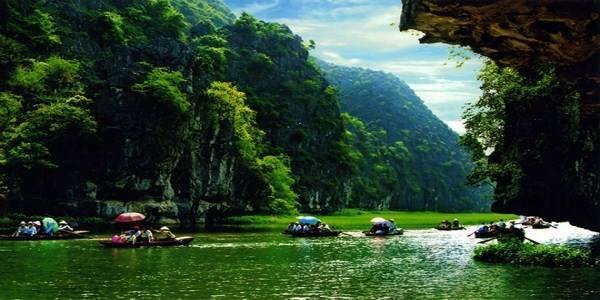 Depart Hanoi at 6pm on the nightly southern bus to Tam Coc. You will be picked up at the bus stop and taken to our hostel. Check-in to your room, have some dinner (included) and get rested up for the next day of exploring. Have breakfast and take in the mountain scenery as you get ready to explore the surrounding area. Beat the crowds coming from Hanoi and take off on an early 9am boat trip down the Tam Coc River. 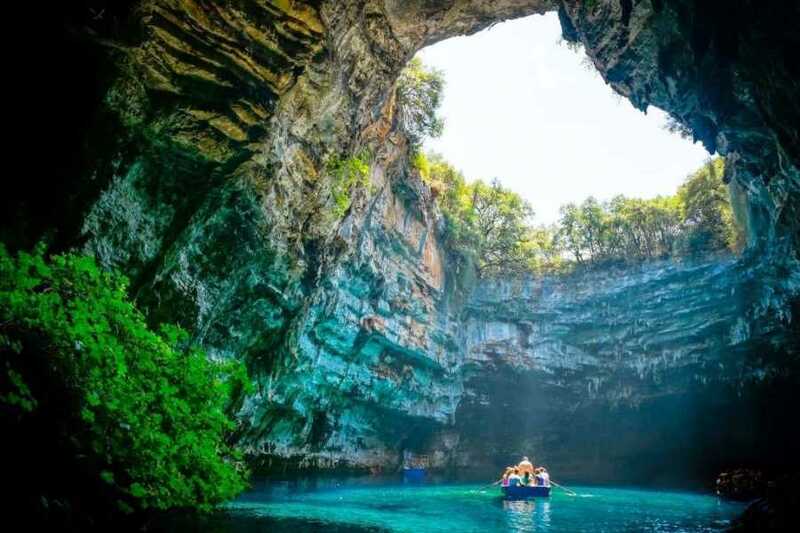 You will float through caves, past amazing mountain scenery,as the locals paddle the boat with their hands and feet, quite an interesting site. After the boat ride everyone will collect their bicycles from the hostel and are then free to explore the lush country side and ancient temples that surround Tam Coc. Make sure you stop at a local restaurant to try the goat meat that the Ninh Binh province is famous for (dinner not included).Be back at the hostel before 7pm so you can catch the overnight sleeping bus down to PhongNha. 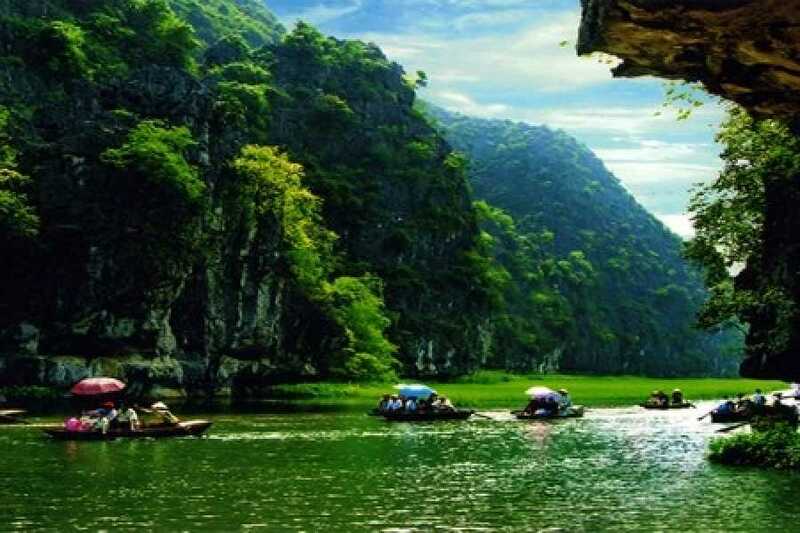 Phong Nha is the adventure capital of Vietnam and has some of the largest caves in Asia. You can store your luggage at Phong Nha Backpackers Hostel and have breakfast while you gear up for another exciting day. It starts with a journey to The Paradise Cave, the longest dry cave in Asia, where you’ll be transported to another world as you make your way 2km inside this natural wonder. Stop off to have lunch and recharge before suiting up to zip-line across a 40m wide river to reach the entrance to The Dark Cave. You will have to swim to reach the cave entrance and exploring with only your headlamp. Deep inside the cave you’ll reach a natural mud bath for you to enjoy. Wash yourself off with a swim out of cave then kayak back to PhongNha Backpackers. 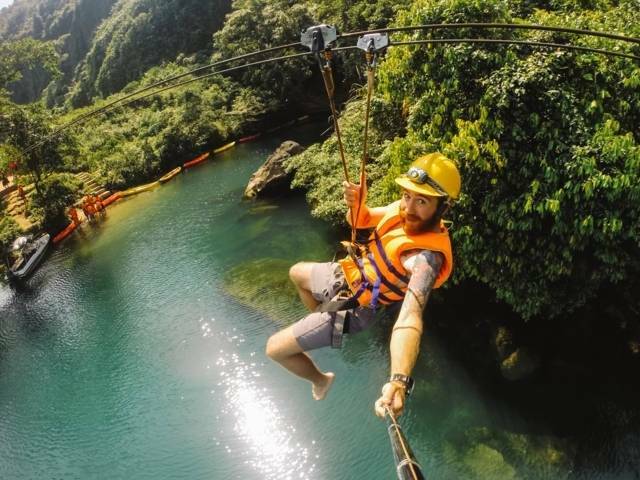 Enjoy free time around Phong Nha for the rest of the day. 3rd Day – Hue to Hoi An, Hai Van Pass motorbike experience. 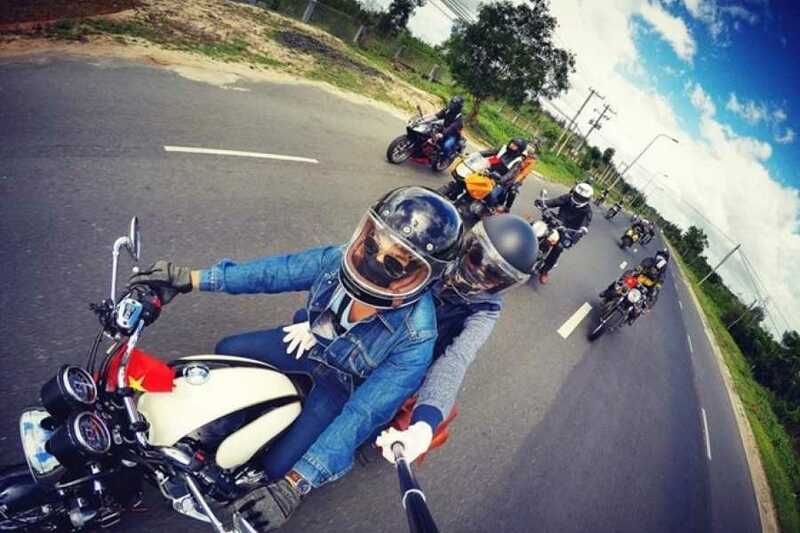 One of the best motorbike rides in Vietnam awaits you! Catch the early 5am bus to Hue to pick up your motorbike and a route map at MotorVina’s office in Hue. A staff member will point out the best route and all of the must see stops along the way. MotorVina will take care of your big backpack and have it shipped to Hoi An, so it won’t slow you down. Be sure you bring your camera; the Hai Van Pass is listed as one of the most scenic coastal roads in the world. You’ll finish off this amazing trip with 3 nights at Under The Coconut Tree Homestay. When you arrive and check-in a staff member will have your backpack dropped off and the motorbike picked up. 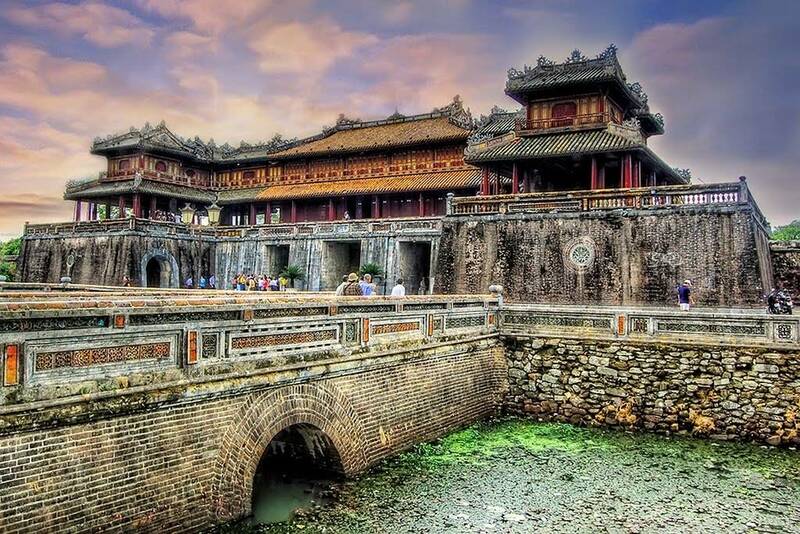 Hoi An is a melting pot for history and it’s reflected in its architecture. Here you’ll find a mix of styles and eras; everything from wooden Chinese shop houses to colorful French colonial buildings. You’ll want to spend a few nights here to unwind and take in the area’s history. Hoi An is famous for its tailors; at last count there are more than 750 tailors in Hoi An making it easy to have anything made at a great price. Hoi An is also home to the longest beach in Vietnam. Be sure to spend a day lounging on a beach chair with a coconut in hand. *Tour ends with 3 nights at Under The Coconut Tree Homestay, Hoi An (Address: 1 Loac Street, An Bang Beach. Hoi An). *Please note: This is an unguided tour that leaves every day. You will be required to do certain things on your own; a good amount of self reliance is required. Do I have to do everything on the itinerary? We customize the tour to suit your needs. Skip past the places you don’t want to visit, stay longer in the places you love! Take all of your luggage with you as this is a 1 way trip to the south. Your luggage will be taken care off at each stop so there’s no need to worry about it, just enjoy the ride! Do I need to take my big backpack on the motorbike? MotorVina takes care of that for you. They can ship your luggage to their office in Hoi An or they can have it shipped to your hostel/hotel in Hoi An as well. Meals included as mentioned. For everything else, ask our guides to point out some local restaurants so you can try some of Vietnam’s tastiest dishes. Can I stay in any of the places longer? We can arrange your stay to be extended at all of the destinations. In order to guarantee you’ll have a place to sleep please let our travel desk know if you want to spend longer at any of the stopswhen you book the trip. If you decide to stay somewhere the day of; we can work to make it happen, but cannot guarantee it. I’m a Vegan/Vegetarian do I have to bring my own food? Just let the travel desk know when you’re booking if you have any special requests and we can arrange for something special to be made for you. Do I have to stay at the hostels/homestays listed? We can arrange alternate places to stay in each city. These are just the businesses we have partnerships with because we feel they offer the best experiences. Do I need to insure the motorbike? The motorbikes come insured by the MotorVina Company, but having your own personal health insuranceis highly recommended. You can, but it’s going to cost a lot more. We work with many businesses around Vietnam so we are offered the best price on activities. • One night sleeping in Dorm bed at Tam Coc Rice Field with Breakfast and Lunch.